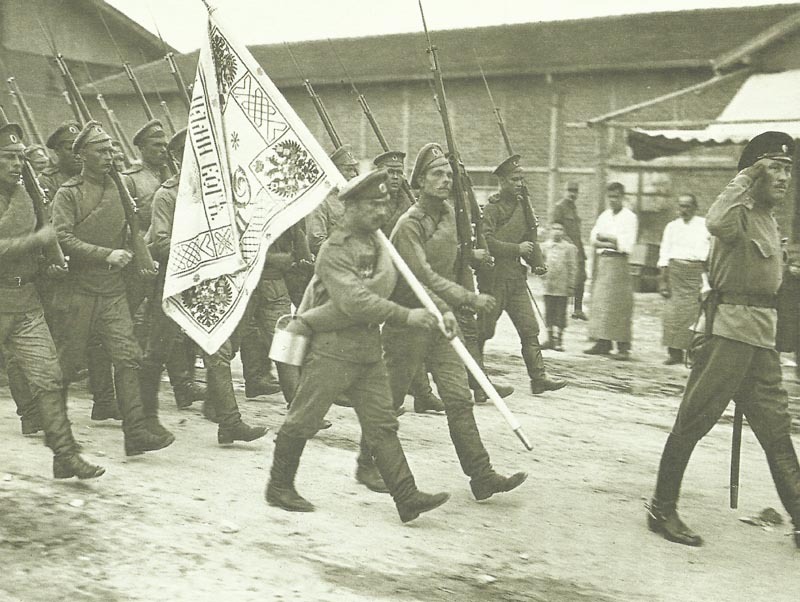 The first contigent of Russian troops to arrive in Saloniki parades through the streets. Macedonia: Allies spread over 170-mile front but not yet ready due to heat, poor roads and supply difficulties. Russian Brigade of 5,000 soldiers lands at Salonika. Offensive postponed to August 4, then till Rumania signs agreement with Allies (not until August 17). Battle of the Somme: German attack north of Bazentin-le-Petit fails. Repeated British assaults on Thiepval Salient (August 1-5); south side driven in c.1,000 yards by August 5. Armenia: Russian 66th Divison captures Ognol. In August Turk Government of Sivas estimates 30,000 deserters in his area. Channel: During August UB boats from Flanders UB boats sink 18 ships (6747 t). Adriatic: Italian submarine Pullino goes aground on Galiola reef, captured but sinks in tow. North Sea: During August Royal Navy deploys simulated fishing fleet in attempt to trap marauding U-­boats. Baltic: Royal Navy subma­rines made a separate flotilla under Commodore Cromie DSO. Adriatic: 10 Italian Caproni bombers drop 4t bombs on Austrian Whitehead torpedo factory, Fiume; extensive fire and damage. Western Front: Mannock transfers to Royal Flying Corps despite eye defect, pilot’s certificate November 28. Germany: In August development of Gatling­-type engine-driven ‘motor guns’ begun. USA: French $100 million loan opens. New British £ 50 million loan terms announced on August 16. Britain: First RFP (Retail Food Price) fall, by 1%. Petrol rationing for commer­cial and private users. New Zealand: Conscription for duration of war.